NBC’s Saturday Night Live hits season-high number in ratings with its recent edition hosted by Larry David with musical guest Miley Cyrus according to Variety. Alec Baldwin also made a special appearance as President Donald Trump in the latest episode. The recent installment drew a season-high household rating of 4.7 and a rating of 1.8 in adults 18-49 in Nielsen’s overnight markets, which covers about 70% of U.S. television households. These numbers are the season’s highest in 2017-2018 to date and its top score in the overnight market since the season finale in 2016-2017 hosted by Dwayne Johnson with musical guest Katy Perry, which grabbed a 5.3 rating. So far, episodes of SNL are averaging 9.9 million viewers this season. Even though that puts this season behind the 11.1 million average from last season’s numbers, the 2017-2018 season still ranks as the sketch comedy show’s second-best average since 1994. 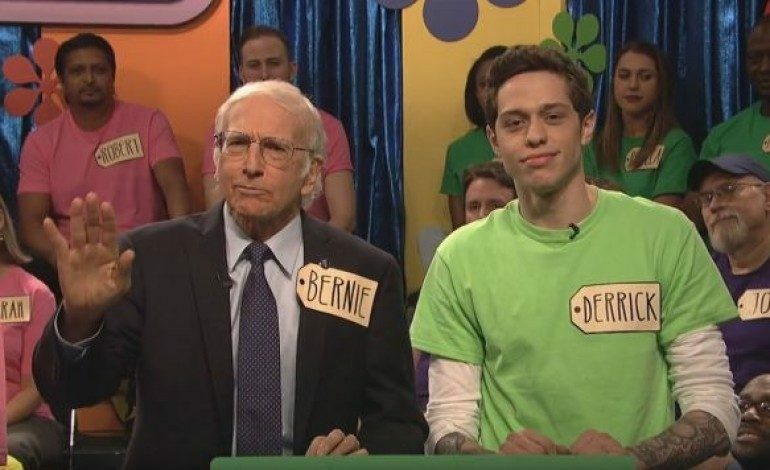 The Larry David-hosted episode of SNL featured a sketch that Entertainment Weekly voted as best sketch of the night called “The Price is Right Celebrity Edition.” The sketch presented Larry David as Senator Bernie Sanders. Check out the sketch below. Saturday Night Lives airs on Saturdays 11:30/9:30c on NBC.